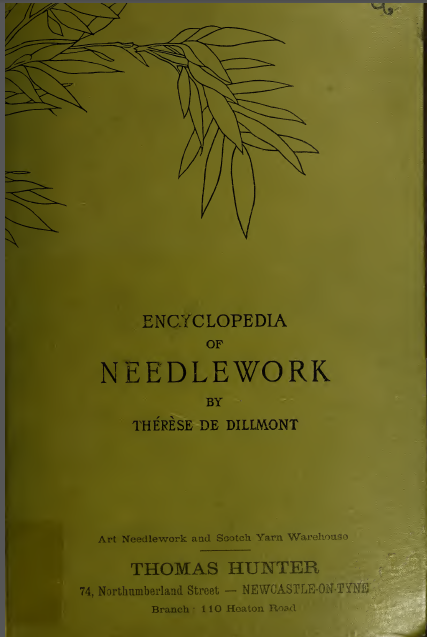 Dillmont's Encyclopedia of Needlework is a treasure I inherited from my grandmother in 1989. I never knew that there were so many aspects to needlework. I finally discovered that I was really good at something. This was my introduction into whole new world. Until then reading was my only hobby. Last year, I happened upon Split Ring Tatting. I realised even if I learn about needlework to my dying day, there would still be a lot of things I'd never even heard about. 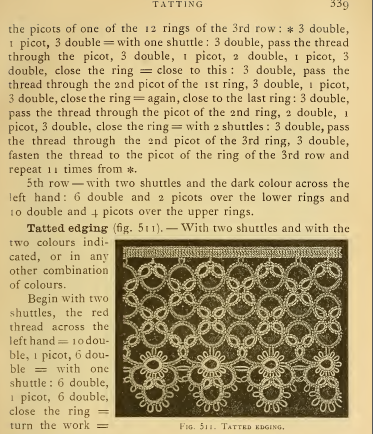 This wonderful book covers all aspects of needlework. It has about 800 pages, 1107 very clear engravings and 13 coloured plates. There are different editions and naturally, the contents vary from edition to edition. There are atleast 4 different editions that I personally know of. Here's the table of contents in the book I have. The book takes you through the basics of all the different crafts. This is something like a stitch dictionary with plenty of projects for all levels of craft lovers. 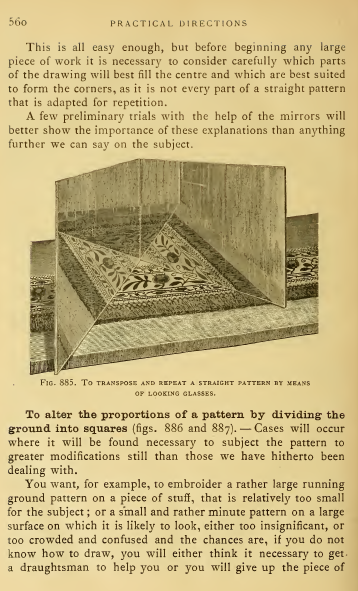 What I like best about this book is, it endeavors to teach the basics and the engravings or images are so clear that it is impossible not to learn from them. It's truly a treasure house created over a 100 years ago. All the designer has to do is, use this as a crutch and give free rein to the imagination. 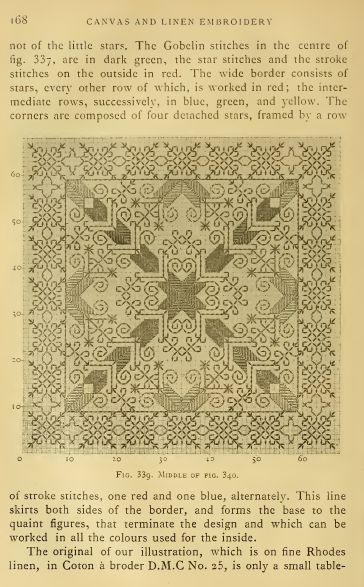 Here's the Encyclopedia of Needlework download link. This is not the edition I own. This book have fewer pages. This book was published in English, French, German, Italian and Spanish. Reading is my first love. I enjoy embroidery, gardening and painting. Indulging in these activities is akin to meditation. Copyright © Bhavani Harikrishnan. All Rights Reserved. Simple theme. Theme images by 5ugarless. Powered by Blogger.